(April 24, 2015):Imagine walking into a Lowe’s looking for supplies and coming out with a furry friend. 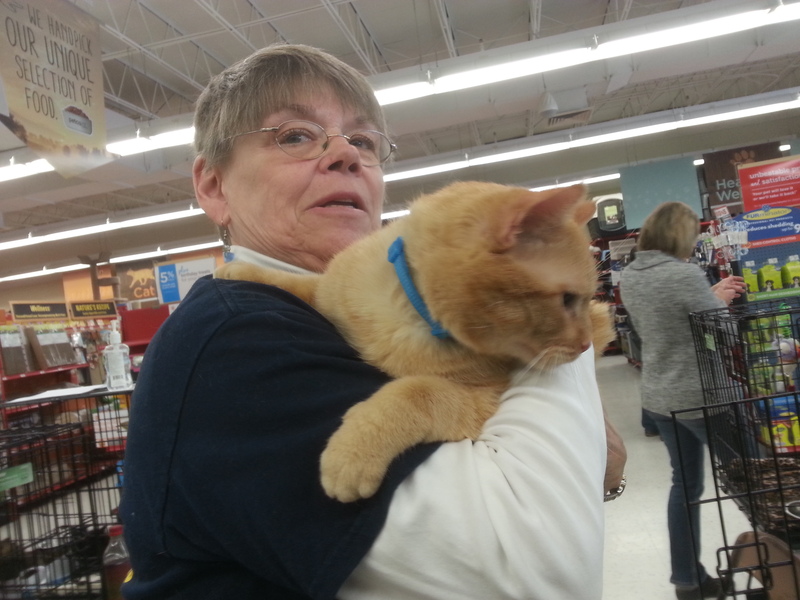 It happens quite often at mobile adoption events put on by the Ingham County Animal Shelter. 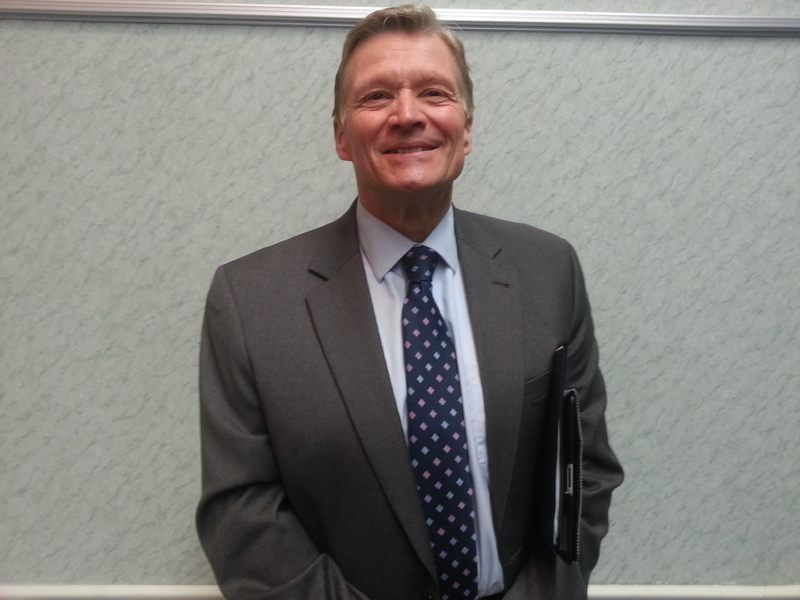 ( April 27, 2015): The Ingham Intermediate School District has selected Dr. Scott Koenigsknecht to be the new superintendent. He will begin work July 1 after the retirement of current superintendent Stanley Kogut Jr.
(April 28, 2015): The Ingham County Animal Shelter, like many of the animals inside it, is looking for a new home. The animals suffer the most from the old, dilapidated building. Lack of airflow often leads to illnesses circulating among the animals. Volunteer Roxann Wilkinson described it as a vicious cycle. As soon as some animals recover, they get sick all over again. Puppies and kittens are not kept for very long for fear that they could get sick. (March 30, 2015): The Ingham County Board of Commissioners formally recognized the 35th anniversary of Michigan State’s sexual assault awareness program during its March 24 meeting. 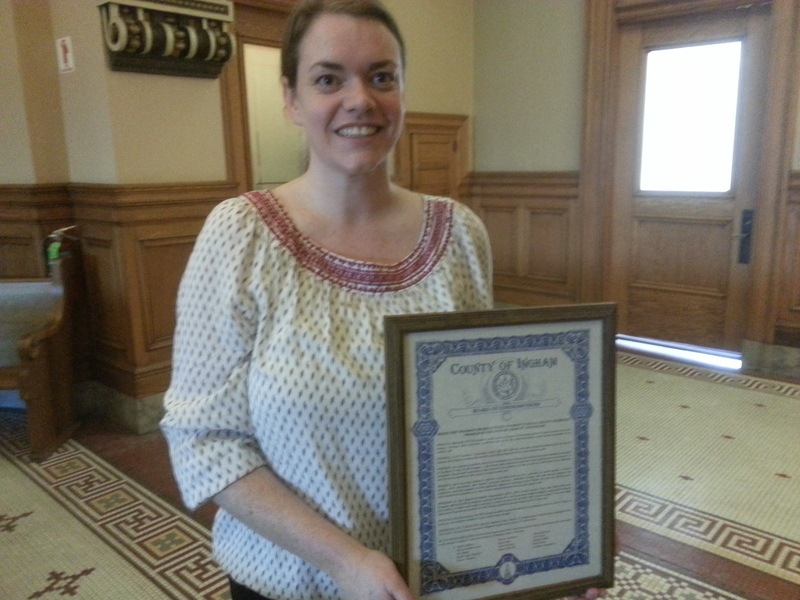 Board member Penelope Tsernoglou presented the recognition to Lauren Allswede, a therapist with the program, and gave her a framed copy of the resolution.